By most measures, the Chevy Bolt is a breakthrough electric vehicle and may become the best-selling pure electric car in the US in 2017. What if GM produced an electric car that was designed to sell 100,000 to 150,000 units per year in the next few years and claim the throne from the Toyota Prius as America’s top-selling green car? That is the premise that emerged for me after two test drives and researching and writing my previous post on the Bolt: 5 Months Of Chevrolet Bolt Sales: What Do The Numbers Tell Us So Far? If GM had made several different strategic decisions, I see no reason why the Bolt EV could not have become the “new Prius” and takeover as the top-selling green car in the US. 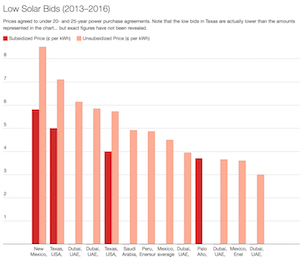 Sales of the non-plug-in Toyota Prius model family have been fading the last few years, since it was the top-selling vehicle overall in California in 2012 and 2013. The green-car throne is there for the taking. Unfortunately, for both GM and consumers, there are several factors that will likely limit Bolt sales numbers. The Bolt could hit a very respectable 50,000 per year in the next few years — but these 12 factors will likely keep it from achieving Prius-like numbers (there were 147,500 Prius sales in the US in 2012). → In “Chevy Bolt Not Limited To 30,000 Sales A Year,” you can see GM said it and partner LG Chem could produce 50,000 cars a year. For this article and the next one (Part 2), I’m not going to speculate on GM’s motivations and whether it wants to limit sales of the Bolt, but instead focus on what it would take to sell 100,000+ units per year and make the Bolt an electrifying success in the US. 1. The market has positioned the Bolt against the Tesla Model 3. 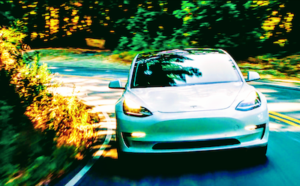 Primarily because of its price and 200+ mile battery range, the media and marketplace are constantly comparing the Model 3, a car not yet in production, to the Bolt. GM, however, has known a lot about the Model 3 for the last few years and should have considered the positioning issues relative to the Model 3 in GM’s planning and design of the car, charging, and other factors. The effect of this comparison by the market is that it has frozen much of the emerging EV buyer market from buying the Bolt. I believe the typical sales price of a Model 3 will end up being at least $5,000 higher than the Bolt — many early EV buyers are going to opt for the brand cache of a Tesla over that of a Chevrolet. Fixes: GM should have designed the Bolt as the affordable EV to beat and to compete against “inferior” EVs, such as the LEAF and the conventional hybrid Prius. The other “fixes” comprise most of the rest of this article, including price, battery options, body type, and more. 2. The car doesn’t target a specific customer persona. In the classic business book Crossing The Chasm, author Geoffrey A. Moore describes a common mistake in the early phase of a market where companies target a market or segment, instead of a customer. GM has made this potentially costly mistake. That answer supported my hypothesis. 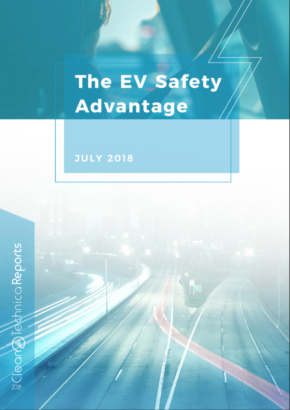 This unfocused approach is destined to fail in any market, but especially in a small, emerging market where only a few percent of new car buyers are ready to even consider buying an EV. 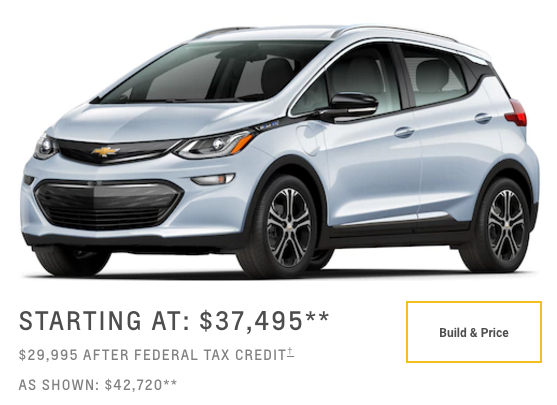 In its current configuration of price, model type, range, features, and brand position, the Bolt is simply a hot mess from a product positioning perspective. 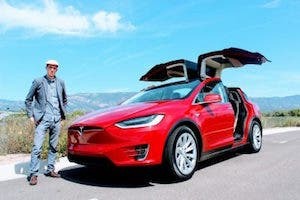 Fixes: Target practical, green-minded Prius and LEAF owners: The Bolt is the perfect car to target current and potential future owners of the LEAF and Prius (hybrid and Prime versions). Target this market and the Bolt can easily own the #1 position in the mind of these practical, green-car buyers. GM should launch aggressive Prius and LEAF takeaway marketing campaigns. Since 2000, more than 1.6 million units of the Prius have been sold in the US — these hybrid owners are a perfect fit to upgrade their “greenness” to a pure-electric Bolt. 3. The price is too high. 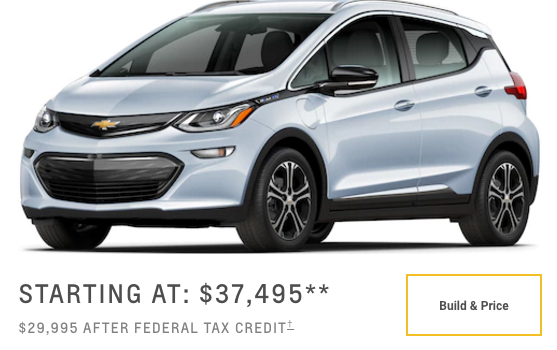 Regardless of what the Bolt cost to make and whether it is or isn’t losing money for GM, its base price of $34,000 to $39,000 may be its biggest sales-limiting factor. The Bolt is too expensive for what it is: a small, non-luxury hatchback from Chevrolet. The Premium version of the Bolt, which doesn’t actually have much of a premium feel, will run you nearly $43,000, before tax incentives. At that price I wouldn’t expect manual seat controls and a plastic dash. Secondly, GM should offer a lower-priced version of the Bolt with a smaller battery pack (more on this in point #5). Thirdly, the Premium version needs to be upgraded to actually have a premium feel and to substantiate the $43,000 price tag (more on this one later as well). This would also likely increase the number of BMW i3 takeaways. Many commenters from my previous article also called it a hatchback. And Edmunds, the auto industry information company, calls it a hatchback on its website (see below). As I outlined in “SUVs & Crossovers: Key To The Next Wave of US Electric Vehicle Adoption,” sales of small SUVs/crossovers are hot, hot, hot. While sales in the hatchback segment are growing again, the segment is only 4.8% of the market versus 39% for SUVs and crossovers overall, and 17.5% for small SUVs/crossovers. On top of the fact that the market is 3.5 times larger than hatchbacks, there are no affordable electric SUV/crossovers on the market today. If you view the Bolt as a hatchback, then GM picked a much smaller, and slower-growing market to compete in. If you think it’s a crossover, the fact that so many others including Edmunds think it’s a hatchback means that the Bolt can’t ride the crossover/small SUV wave as much as it theoretically could. Another advantage of entering into the small SUV/crossover category is that the premium versions of these models will often go for more than the higher end hatchback models, enabling Chevrolet to better compete with a higher priced Bolt model. Note: GM is not alone in its body style mistake, as Tesla probably should have launched the Model 3 as a crossover. But at least there is no confusion as to the sedan category of the Model 3. Fix: Unfortunately, there isn’t a simple fix for this issue, as to be positioned as a true small SUV/crossover would require a future redesign. So, the likely near-term option is to market the Bolt’s height and position those advantages against the likes of the lower-slung Nissan LEAF. And perhaps some advertisements with mountain bikes on top of the Bolt and drivers taking it camping would help. 5. Lack of battery (range) options. The Bolt’s 238-mile battery range is a great achievement for GM, but it is also the vehicle’s albatross. With the 60 kWh battery pack and 238 miles of range comes a higher cost for the Chevrolet model, a low-end brand. 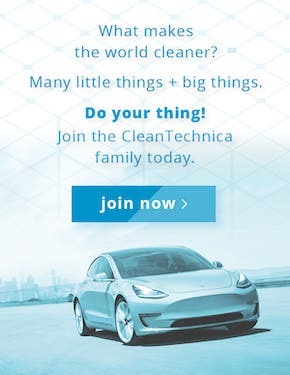 In the minds of prospective EV buyers, the longer range also pits the Bolt against the more upscale features of the upcoming Tesla Model 3, which has a waiting list of 400,000 reservation holders or so. Which car do you think most consumers, especially those located in the image-conscious West and East Coast states would prefer? Adding different range options clearly adds complexity to the Bolt offering, but the key to the Bolt’s success is all about positioning. And when these and other competitors offer 200+/- mile range offerings in the coming year(s), the Bolt would still have them beat with the 238-mile option. The point is that the Bolt doesn’t “occupy that single spot” in the mind of potential consumers. It should have been positioned as the LEAF killer and Prius killer. Instead, it suffers from Model 3 envy. 6. Lack of a fast-charging network. The Bolt with its 238 miles of range has the longest range among EVs other than Tesla EVs with 75 kWh or greater battery packs. But unlike Tesla, GM has not built out or partnered on a significant fast-charging network. I get, especially now in a slowing auto market, that GM doesn’t want to invest when it’s hoping the marketplace does it for them, including Volkswagen’s Electrify America initiative. But, and this is a big but, the lack of reliable fast chargers along key interstates and destinations is a huge disadvantage when compared to Tesla’s Supercharger and Destination Charger networks. The inconvenience resulting from GM’s lack of fast-charging availability was chronicled by a Northern California Bolt owner and highlighted the gap in GM’s strategy. 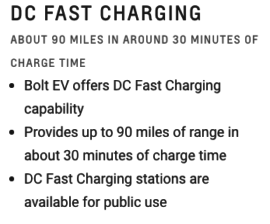 And while Tesla promises up to 170 miles of charge in 30 minutes when charging via a Tesla Supercharger, Chevrolet promotes about half that, 90 miles of charge in 30 minutes via DC fast charging at unnamed “… participating locations.” And, BTW, DC fast charging capability will set you back an additional $750. 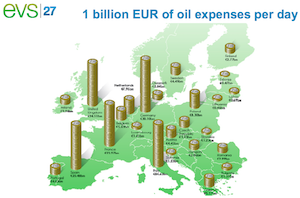 Fixes: Invest in destination charging networks. GM should work with its charging network partner ChargePoint (and other networks) to build out destination chargers at hotels, restaurants, and other locations along major highways and destinations in California first, followed by the other top EV markets. GM should partner with national restaurant and hotel chains that already have locations in key EV destination markets and embark on joint marketing programs. But without these chargers, buyers of the Bolt with its 200+ miles of range cannot fully take advantage of the extra range that they’ve paid for. And that is a problem for current and potential buyers of the Bolt. One additional option would be for Chevrolet to offer the Volt or an SUV, such as the Equinox, as a low-cost loaner for long trips.